1. President Trump will not have any management authority or involvement with the Trump Organization. 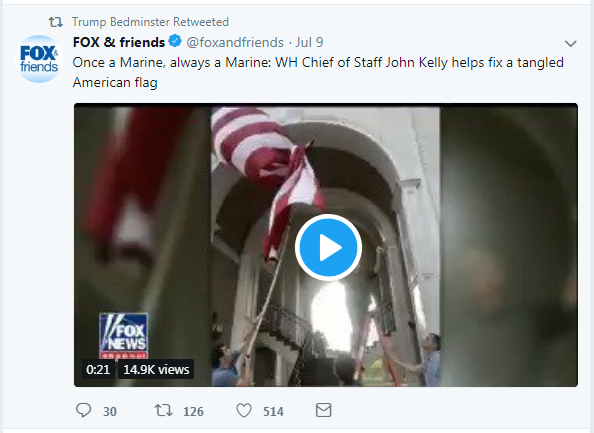 Promise not kept: Earlier this year, Politico reported that President Trump proposed that his Bedminster golf club offer discounts to White House staff, a potential violation of federal gift rules, and the company adopted the policy. The Daily Beast has also reported that the director of revenue management at Trump International Hotel in Washington, DC wrote in an email that “[President Trump] is supposed to be out of the business… but he’s definitely still involved…I had a brief meeting with him a few weeks ago, and he was asking about banquet revenues and demographics.” However, the managing director of the Trump hotel alleges that the director of revenue management recanted his prior statement about communications with the president. 2. Ivanka Trump will not have any management authority or involvement with the Trump Organization. Promise not kept: In August 2018, Politico reported that Ivanka Trump was also partly responsible for pitching a policy of discounts for White House staff at the president’s Bedminster golf club. 3. The Trump Organization will not reference the presidency, including on social media. 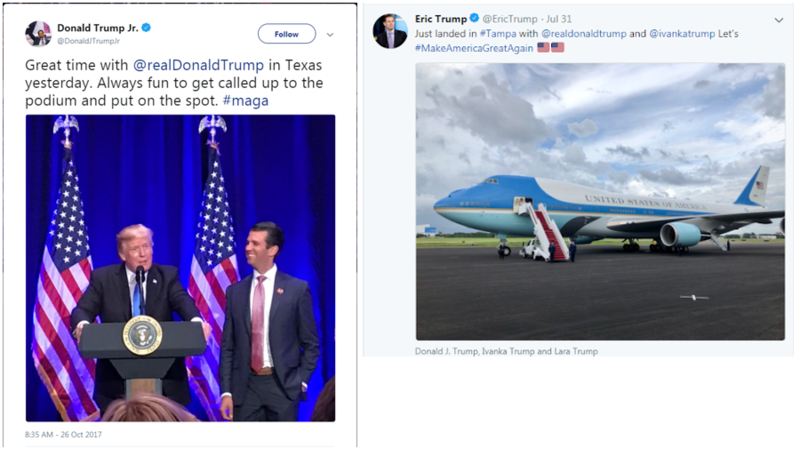 Promise not kept: Trump Organization executives including executive vice presidents Donald Trump Jr. and Eric Trump routinely reference the presidency on social media and elsewhere. Both identify themselves as Trump Organization executives and feature the president’s campaign slogan on their Twitter profiles. 4. President Trump’s sons won’t discuss business with their father while they run the Trump Organization. 5. No new foreign deals. Promise bent: Less than a month into the Trump presidency, Trump Organization executive vice president Eric Trump traveled to the Dominican Republic to revive a 2007 licensing deal. Returning to the project may have undermined the pledge since, as the AP noted, “nothing new [had] been built or announced in a decade” and the relationship between the Trump Organization and its business partner seemed to have come to an acrimonious end. In addition, two new Trump-branded developments in India opened and sought buyers in late-2017, and a Dubai developer licensing the Trump brand awarded two construction contracts to a firm owned by the Chinese government to work on a Trump-branded golf development, further pushing the bounds of the pledge. President Donald Trump’s failure to adhere to even the inadequate plan he set for himself to address conflicts of interest epitomizes a rampant disregard for basic ethical principles. If the President is unwilling to abide the rules he has set for himself, it should come as no surprise that his administration continues to flout the ethical rules set for the entire executive branch. Former CREW research intern Sam Desai contributed to this report.